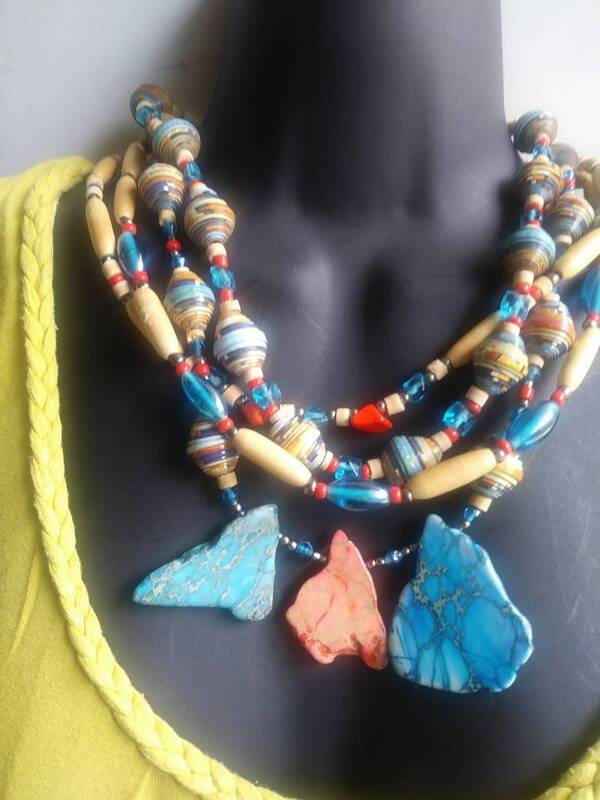 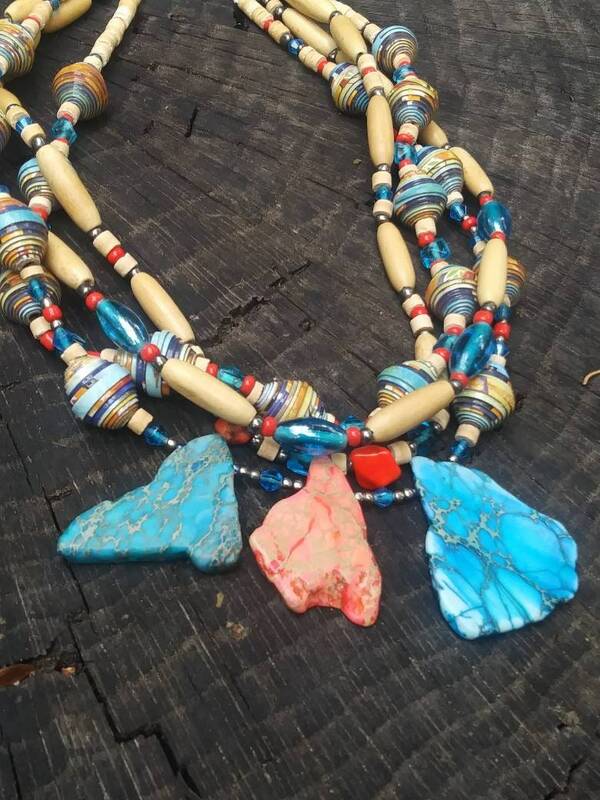 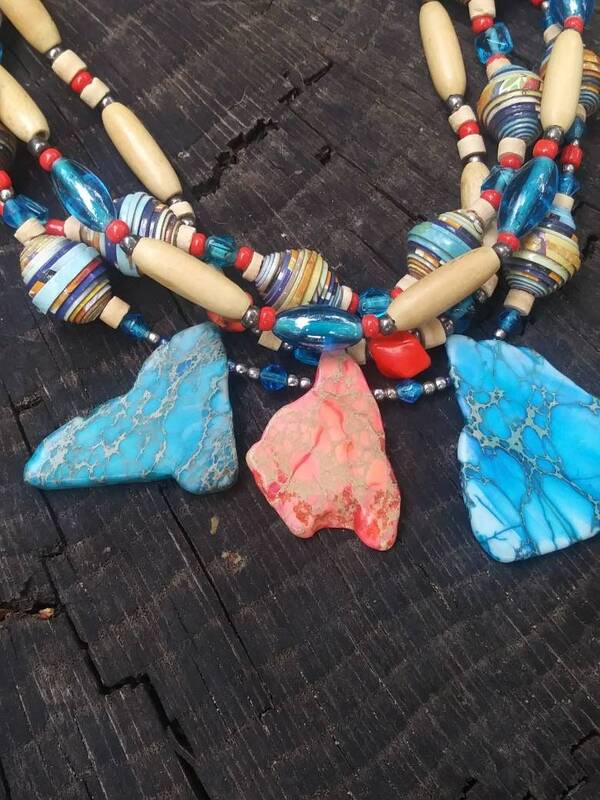 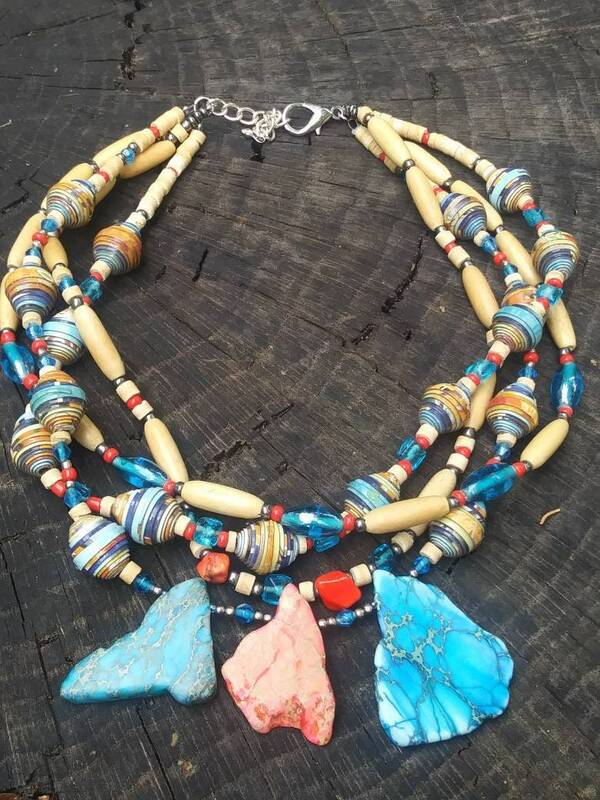 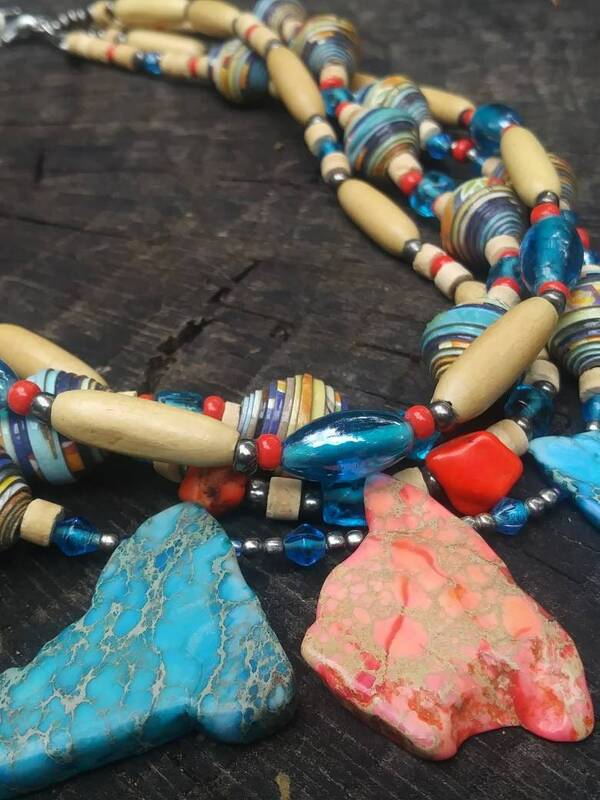 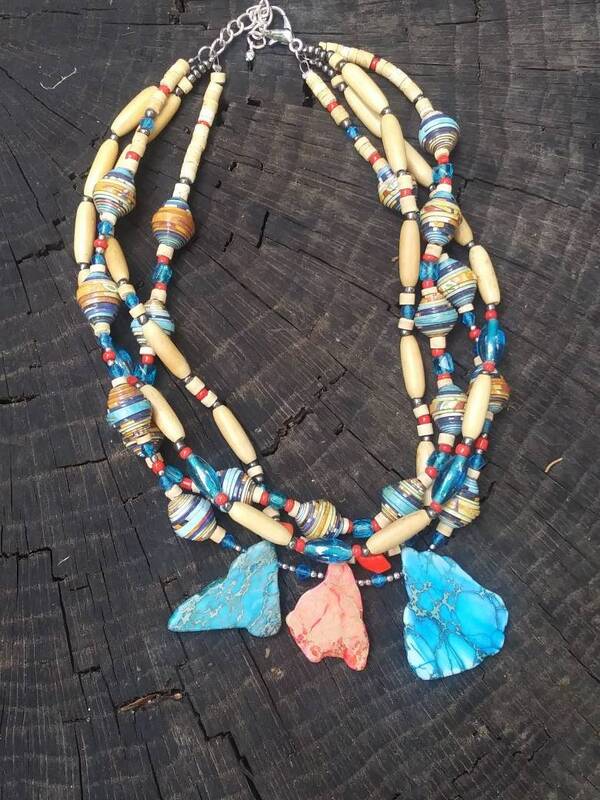 Natural wood tone statement piece with orange and turquoise jasper stones, multicolored handmade Haitian paperbeads. 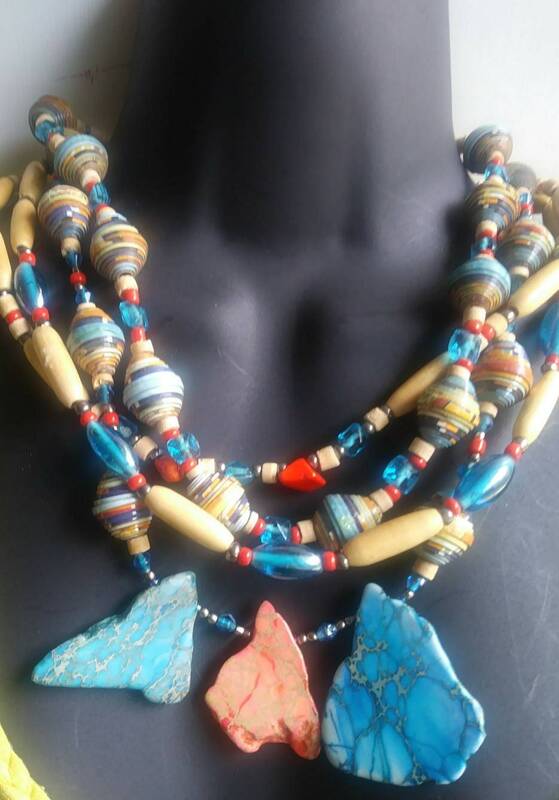 Over half of this piece is comprised of recycled materials. 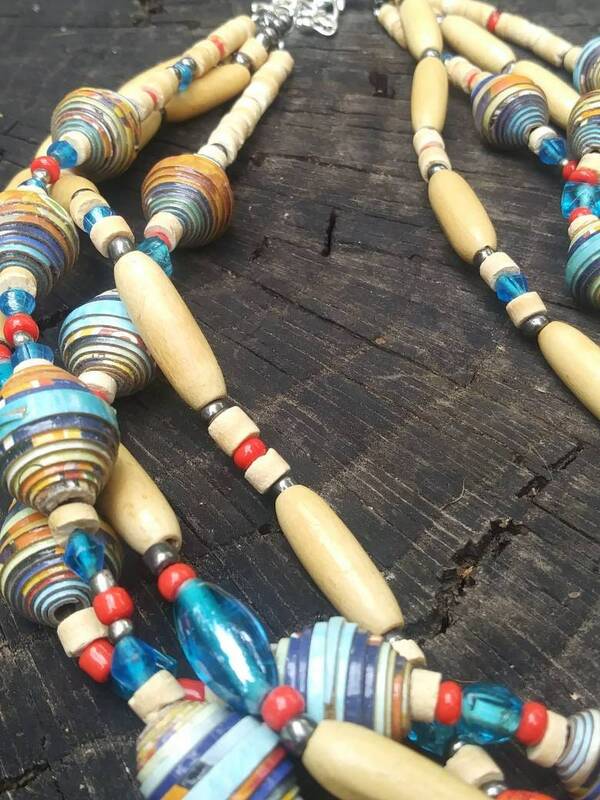 Paperbeads are varnished, but should not get wet.